If you are familiar with google maps and google earth, then the next venue for your is the Google World Wonders Project. The project covers six continents (including Antarctica) and focuses on natural as well as manmade wonders. You can walk through the ruins of Pompeii, swim at the Great Barrier Reef, stand in the middle of Stonehenge, fly through the Grand Canyon, and more. 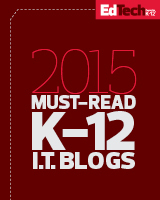 The Education provides lesson plan ideas for teachers of K-12 students. It’s a great way to incorporate these sites in your social studies and science curriculum. This entry was posted in Ancient Rome, Apple, Archaeology, Art History, Classics, Education, Educational Resources, Educational Technology, History, Lesson Plan, Museums, Technology and tagged antarctica, Ecology, Ed Tech, Educational Resources, Educational Technology, Google, Google Maps, google world heritage, grand canyon, great barrier reef, History, marine science, Pompeii, science, Social Studies, Stonehenge on March 20, 2013 by Jennifer Carey. Anyone who has watched the evolution of modern education can readily note the fact that America is lagging (and has for a while) behind other countries in terms of graduating math, science, and engineering students. What is the cause of this divide? Why is America, with undoubtedly the most prestigious and accessible University system, failing miserably to educate its students in the maths and sciences? While I by no means support the notion that there is anything ‘less’ about a degree in the Humanities (after all, my undergraduate and graduate degrees are in the Social Sciences), we cannot ignore the reality that we are losing an important segment of educated professionals that are instrumental to our success as a country. UCLA’s Higher Education Research Institute (UCLA being one of my alma maters) has just published the results of a multi-year study on this very phenomenon. There are many contributing factors, namely lack of access to a good education in K-12 and ill-preparation in high school for college level math and science education. Another factor at the post-secondary level is that students are often not given support and direction; their classes are designed to ‘weed out’ kids who should really be offered tutoring or investment. Math and Science majors graduate in much lower numbers and over a longer number of year (5-6 years to complete an undergraduate degree compared to 4-5 years for Humanities or Arts degree). With the rising cost of college education, those two additional years can spell tens of thousands of dollars of debt. Science and math programs are designed and taught to winnow down the number of students. University tenure systems often reward professors who conduct research and publish their work, but not those who teach well. Some new programs, such as the STEM at the University of Maryland focus on providing students with one on one attention between faculty and students. Hrabowski said many people assume they’re not smart enough to study science or math. His response? This entry was posted in Education, Higher Education, Public Education and tagged American Education, college degrees, college graduates, Education, Higher Education, math, math education, Public Education, science, science education on May 21, 2011 by Jennifer Carey.